CEFEX is a subsidiary of fi360, a team of educators, technologists, writers, trainers and regulatory experts who are committed to promoting the widespread adoption of the fiduciary standard among those who manage assets for individual and institutional clients. 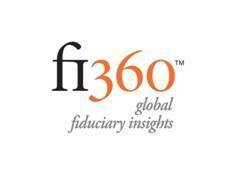 fi360 is also the parent company of the The Center for Fiduciary Studies. This standard-setting organization is known worldwide for creating and promoting a set of investment and governance practices that define the Global Fiduciary Standard Excellence. These Prudent Practices for Investment Fiduciaries are published in separate handbooks for investment advisors, investment stewards and investment managers. The Practices form the core of CEFEX's assessment methodologies and programs. The Center also confers two highly respected industry designations for investment professionals: Accredited Investment Fiduciary® (AIF®) and Accredited Investment Fiduciary Analyst® (AIFA®). fi360 itself develops and administers the rigorous fiduciary training programs that enable hundreds of investment professionals and consultants to earn their AIF and AIFA designations every year. To receive these designations, individuals must pass an examination that gauges their full understanding of the Practices and how to apply them with individual and institutional clients. fi360 also provides sophisticated investment research and reporting tools used by CEFEX Analysts in their fiduciary assessments.